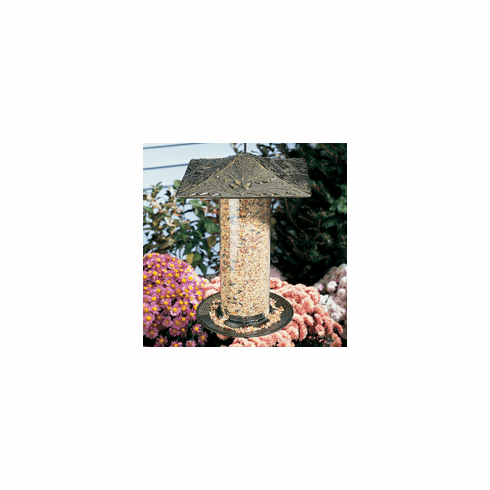 Our Oak Leaf 12" tube bird feeder features an oak leaf design on the top, which is made from rust-free aluminum and painted in your choice of three colors. It has a matching aluminum seed tray and hanging hook. The top and bottom of the feeder measure 9.5" and the total heighth is 144.5".